If you’ve been following me for any length of time, you’ve seen me post about my novella, Ferryman. I tried a Kickstarter, which failed, then I simply received donations, which went better, and through an unexpected check, I was able to finally pay a cover artist and an editor to get this bad boy polished and ready for self-publication. Now, I can finally announce that Ferryman will be available to all on February 7th, 2017. The Kindle version is available for pre-order right now for $2.99. The print copy will be available on Feb 7th for $6, and I’ll upload a link when it’s ready. I’m also working on getting it available for non-Kindle e-formats (i.e. Nook, Apple books, etc). However, you can also download the Kindle app on any device for free. Ferryman is a novella, only about 125 printed pages, so it’s a nice, easy read. It’s a supernatural story; the protagonist has the power to kill people with a mere touch, but no dreams of villainy. 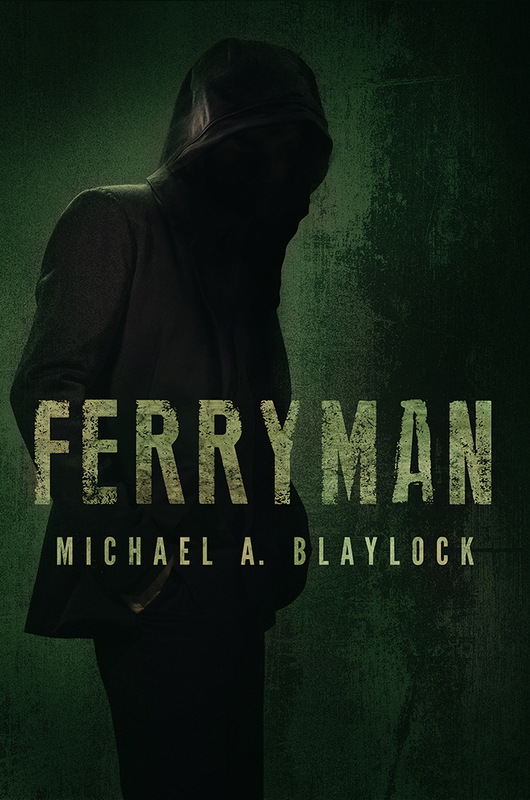 Ferryman is his struggle to find a good way to use his powers–or whether there even is one. And that’s that! You can read more about it by clicking the Ferryman Page in the menu, or on Amazon through this link. I leave you with the cover art. So excited to finally launch! Woohoo! Congrats. 😀 Looking forward to finally reading it. Yep, and remember you get a free e-copy for supporting it. And your name in the book. Can’t wait to buy the book, so excited! Woohoo! Looking forward to reading it, Mike! I love the cover. Congrats! Thanks. I was so excited when I got the cover back.